Hy-Tek's PhotoFinish INTERFACE software connects your MEET MANAGER computer directly to your photofinish computer and exchanges start lists and results automatically and electronically, enabling the Hy-Tek operator to freely enter results for field events, to seed later events, to print reports, or to do any other administrative task associated with running the meet. 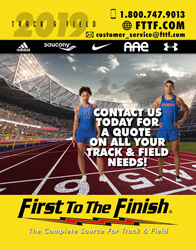 Start lists and results are transmitted electronically over a standard RS-232 communications cable available on all computers, whether IBM or Macintosh - no keying in times and no mistakes! 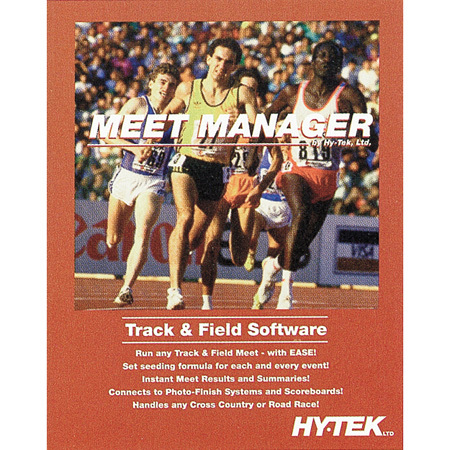 If you are currently running Meet Manager 1.2, Hy-Tek now requires that you upgrade to Meet Manager 2.0 when purchasing the Photo Finish Interface. 1.2 no longer supports the interface. Indicates that item is available through HYTEK.